Synthetic dogs are the means to end terminal surgeries on dogs. Dogs by the thousands die each year due to animal testing facilities whereby they are tested mostly for toxicology studies. What’s more alarming is that veterinary school surgical procedures also perform cruel animal testing on live dogs. That’s right – live dogs. 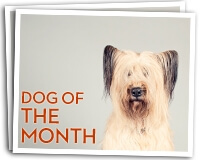 Ruby is a gorgeous Golden Retriever and the DDG June 2016 Dog of the Month and we hope she is as excited as we are! Our warmer Minnesota weather means your dog has more playtime outdoors, and if unsupervised can lead to Mother Nature being introduced to your non-spayed or neutered dog. DDG has come up with a few methods of what to look for for dog pregnancy signs. Lucky is a special boy and we are trying to find him his very special forever home. The worlds oldest dog, Maggie, a Kelpie, has passed away at the age of 30 (that’s 133 years old to you and me). Find out more about her life and her incredible story.